Ada County Summer Day Camps! Summer will be here soon and we have some great day camps for this summer! You can do everything from fight zombies to creating your own robot to exploring the great outdoors. It's all waiting for you here! 4-H Day Camps are open to everyone! You don't need to be in 4-H to attend the camps. 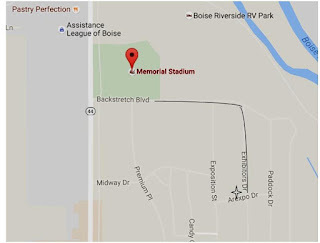 All camps are held at the Ada County Extension Office unless otherwise noted. For more information on the day camps please see the registration form. Can teens be entrepreneurs? Find out what it takes to start your own business! You can turn your ideas into a business. Learn how teens turn their ideas into business and how you can too. There will be prizes and a free lunch at this event. 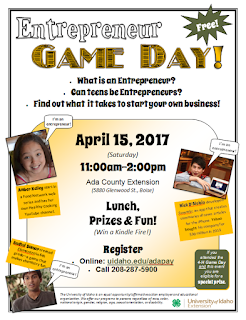 Saturday, April 1511 am - 2 pmAda County Extension, 5880 Glenwood, BoiseFree! To register for this event go here. If you're planning your overnight camps for this summer check out the 4-H Adventure Camp! It's open to everyone in grades 3rd through 8th. Spend time at Cascade Lake 4-H Camp near Donnelly. You'll sleep in cabins and enjoy activities like swimming, canoeing, fishing, games, and workshops! And of course there's a campfire at night! June Kids Camp, June 22-25, grades 3rd to 5th, $190.00Teen Camp, July 10-14, grades 6th to 8th, $230.00All Camp, August 4-7, grades 3rd to 8th, $190.00**Please note: All grades listed are grades completed by the end of the school year for 2017. Bus transportation is provided to and from camp from various locations. The cost of camp posted is the early bird registration costs, please see the website for more information. Saturday, April 111 am - 2 pmAda County Extension OfficeFree!! 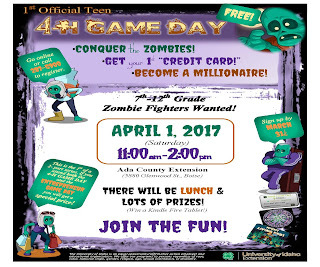 There will be prizes, zombies, and lunch! Everyone is welcome. You can register online here and click on "I want to" or call 287-5900. This is part one of a two part series if you attend the second game day you will get a special prize. More information will be available later on the second dame day! Are you interested in nutrition, fitness, cooking, and overall healthy living? This is a great opportunity to share your interests! 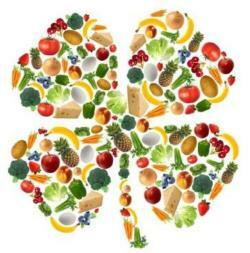 Healthy living strategiesBasic nutritionCookingShoppingFood Safety You will promote healthy living in your community, set up a service learning project, and gain leadership skills and experience working with younger youth. Two advocates will be selected to attend the National Youth Summit on Healthy Living. To learn more call 287-5900. Come see what 4-H has to Offer! This is a great opportunity to meet our 4-H club leaders and members and see what's going on with 4-H! Learn about the projects we're offering! See what 4-H youth have done in your community. Learn how you can get involved as a parent, leader, or a member. What are projects? Projects are hands on activities. 4-H members choose what they would like to learn about during the 4-H year. Projects include cooking, sewing, animals, science, and just about any other area you can picture!What are 4-H clubs? 4-H members join a club that is offering the same type of projects that they are interested in learning about. They will meet with that club throughout the year. Each club sets their own meeting dates, times, and locations.What other activities are available? There are events and activities throughout the year that members can attend from animal clinics, county wide projects, camps, and more. Learn about digital SLR cameras and new editing techniques in this camp. Want to learn new tricks with your GoPro? Make your pictures exciting? Come to this camp and check it out! The camp is open to youth ages 8 and up and can be geared toward what you want to learn!